I am so happy that the Czech version of my debut novel, The Bohemian Incident, just got published. For me it means a lot to have it published there as that’s where the story is played out – with the events leading up to the Defenestration in Prague as the political backdrop. A beautiful cover as well. In a few days time my debut novel, Incidenten i Böhmen, will be released in English as The Bohemian Incident. On Saturday, December 16th I’ll be at Akademibokhandeln, Nygatan, Linköping City between 13.00 and 14.00 signing my new book, Sällskapet i Genua. I’ll be at “Bokmässan” from Friday to Sunday. Please say hi if you spot me somewhere. It has been a few days now since I returned home from Worldcon in Helsinki. Worldcon 75 to be precise. But for me it was Worldcon 1. 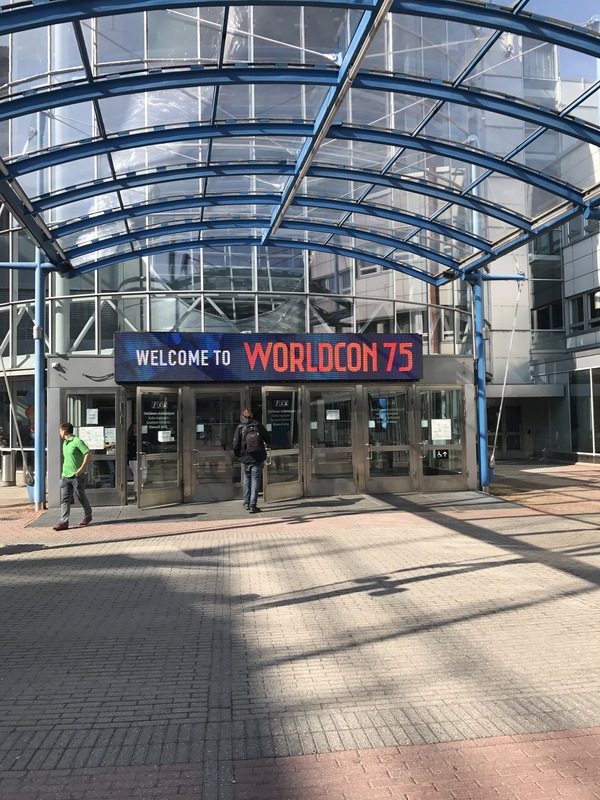 I’ve been to national cons in Sweden, to Archipelacon in Åland, and to two Fantasycons in the UK, but this was my first worldcon. It’s a massive experience. I arrive Thursday afternoon as I had other commitments before the con which meant I missed the first one and a half days, but I still got so much out from the con during the three and a half days I was there. The programme for WorldCon 2017 in Helsinki is now official. I am delighted to be in no less than three programme items! Even more delighted by the fact that all three are on really interesting topics. I am also very humbled by the company I’m in. And a bit nervous.